Hi Guys! How are you all?? I hope you are good. 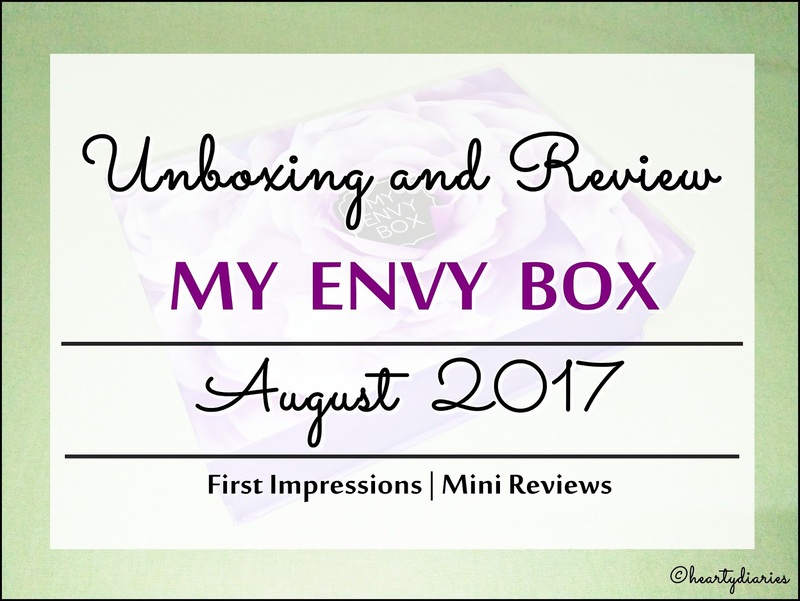 I am back with another review and unboxing of my personal favorite and a very luxurious subscription box, “My Envy Box” with you all. 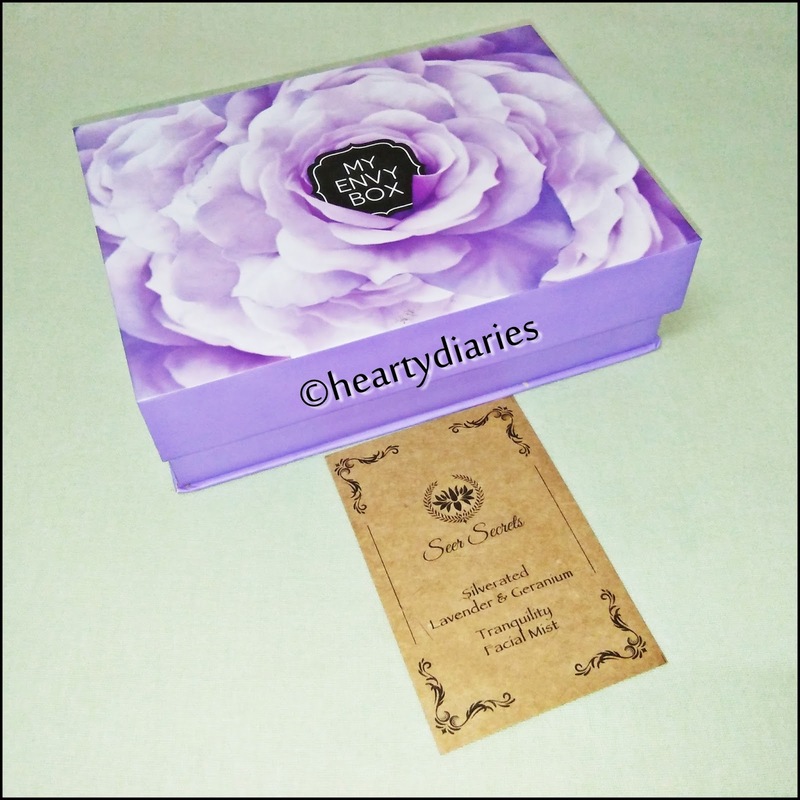 This month, unlike the last month, I got the box quite early and I am so happy with it.. 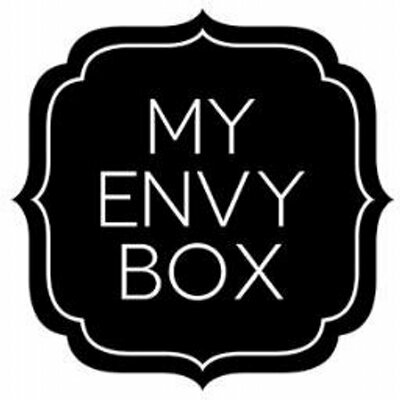 Although I knew My Envy Box is a really amazing box, I never thought I’d love it box so much. 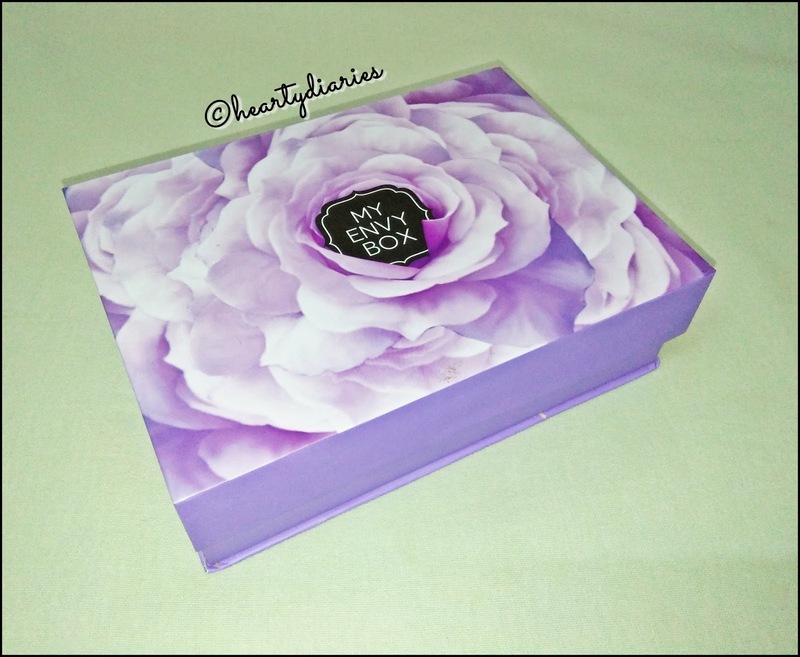 For those who don’t know much about this box, let me tell you guys! 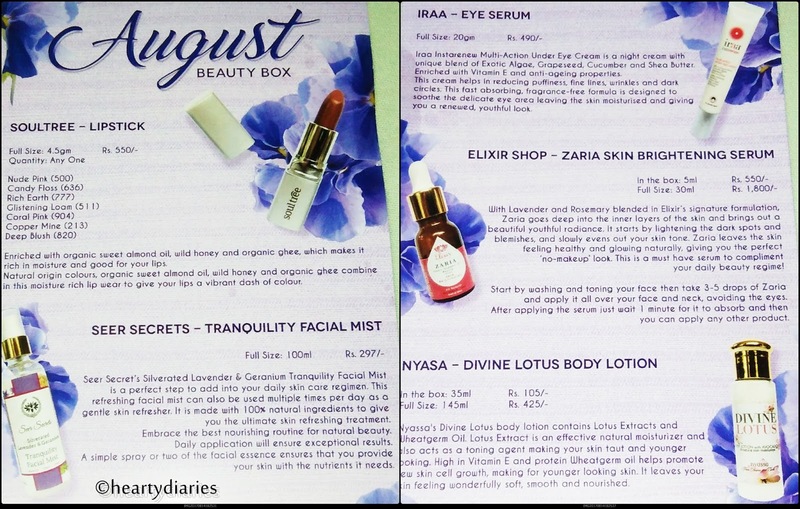 Next, you see the homepage where you get to see a blink of August edition of Beauty Box! They have also given a coupon on full sized products on their website which is valid till the stocks last.. Lets just check their subscription plans where the shipping charge is free but COD charge is Rs. 50. 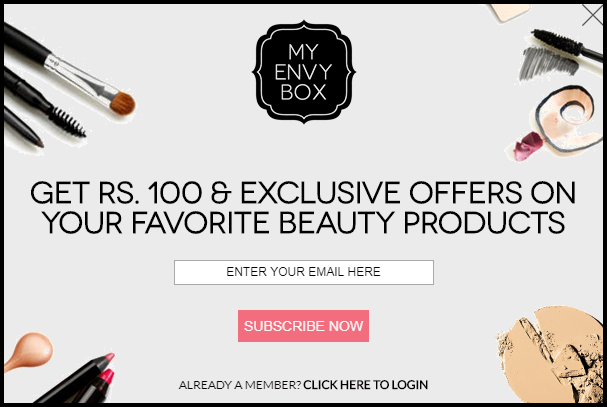 For one month subscription box, you earn 213 Envy Points where 1 Envy Point = 1 Rupee. Similarly, you earn 557 Envy Points for three months subscription.. 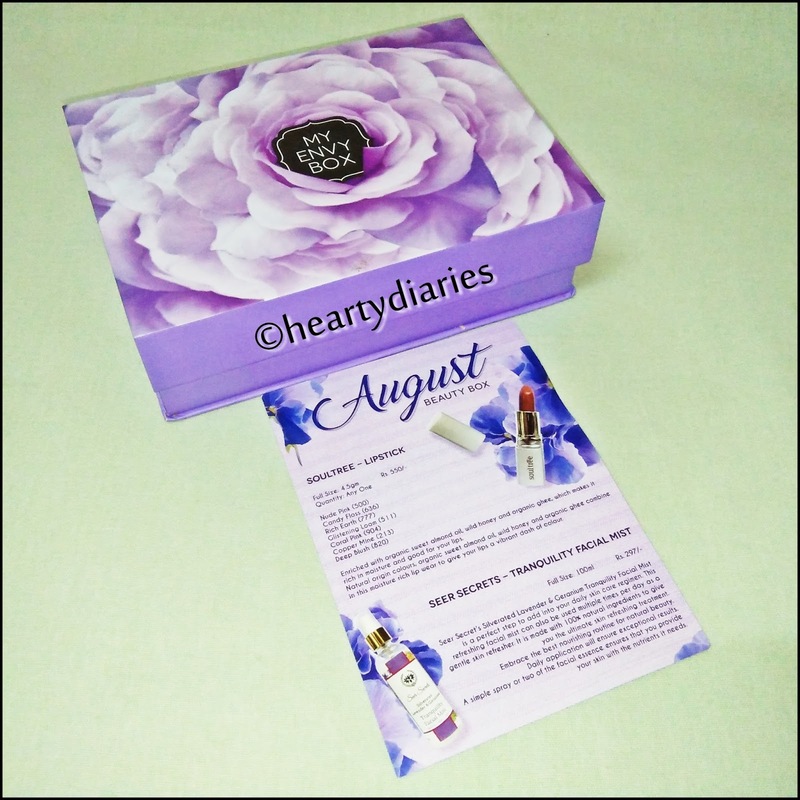 When I opened the box, there was a card at the top which says “August Beauty Box” and again has a lavender color detailing. 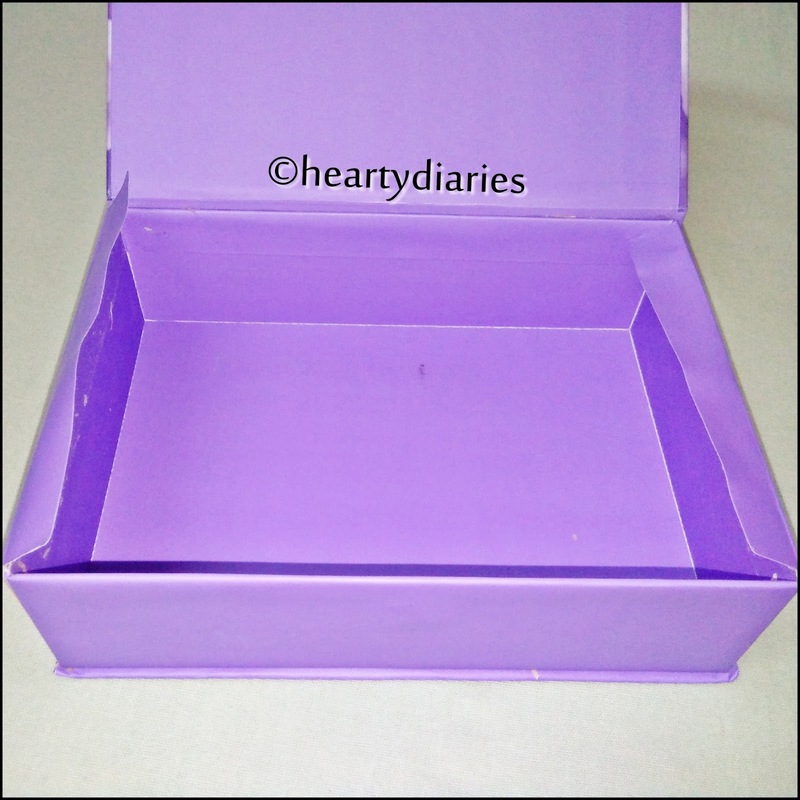 It has the list of all the products inside along with individual cost and description.. 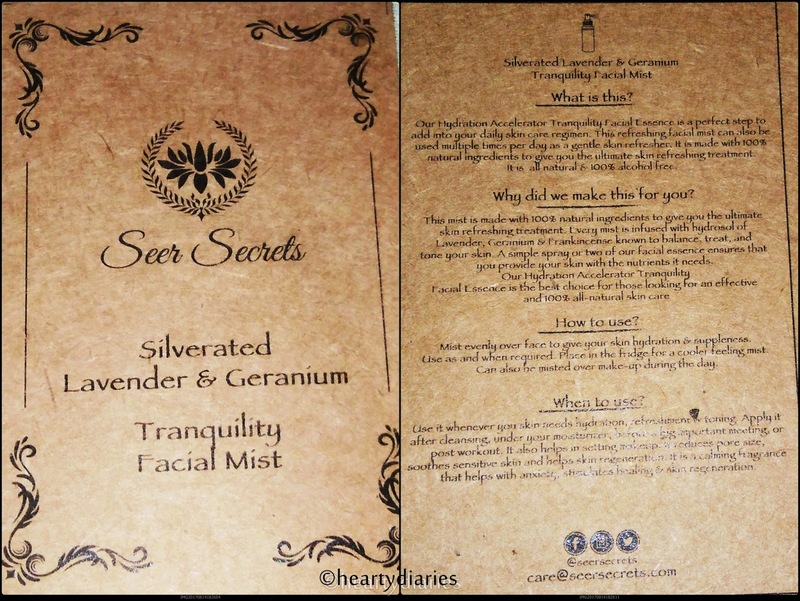 There is one more card inside by the brand “Seer Secrets”.. The box has the perfect size to hold the contents properly. It prevents the products from moving here and there and keeps them safe. The products are well arranged and wrapped in hay. I don’t mind having hay, quilling paper or bubble wrap inside until and unless my products are safe. 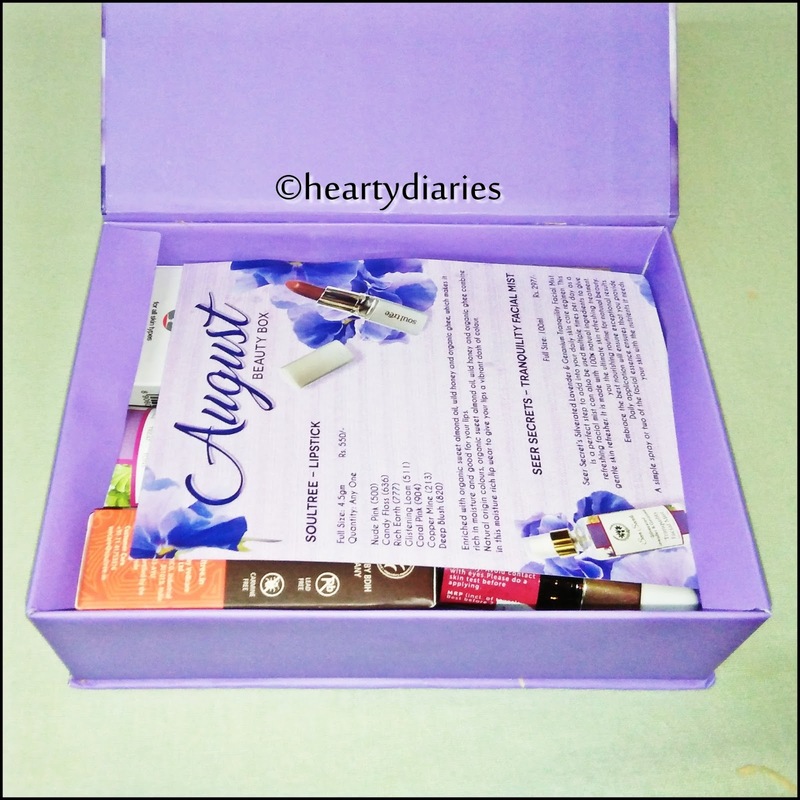 This month the box has five products out of which three are full sized and two are sample sized products. My thoughts: Since this is an ayurvedic lipcare product, is certified by Germany and is a vegetarian product, I am already in love with it. This lipstick has a gorgeous silver color and my shade is copper mine, no. 213. Unfortunately this lipstick broke as soon as I opened it for the first time.. I don’t know what happened but it broke.. Anyways, this shade is really pretty and would look extremely pretty on my mum, so i’ll give it to her.. The texture of this lipstick is creamy but it leaves a matte finish which I love..
My thoughts: The bottle is transparent, light weight and travel friendly. It smells exactly like lavender and feels really refreshing. I would love to spritz it all over my face because I love how beautiful the fragrance is. Have a closer look at the bottle.. 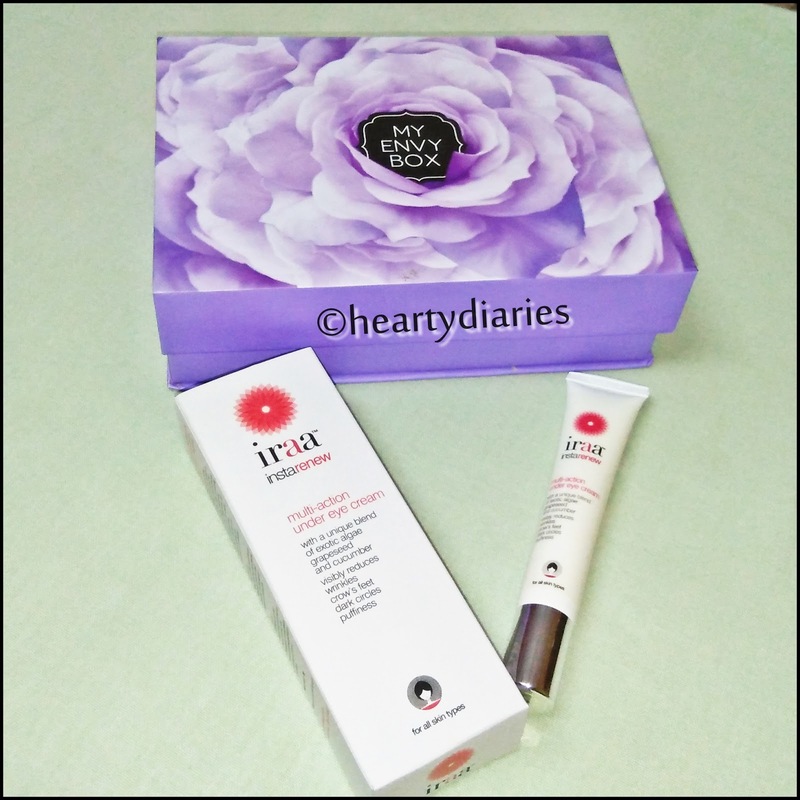 Product Description: Iraa Instarenew Multi Action Under Eye Cream is a night cream with unique blend of Exotic Algae, Grapeseed, Cucumber and Shea Butter. Enriched with Vitamin E and anti-ageing properties. This cream helps in reducing puffiness, fine lines, reduce wrinkles and dark circles. This fast absorbing, fragrance free formula is designed to soothe the delicate eye area leaving the skin moisturised and giving you a renewed, youthful look. 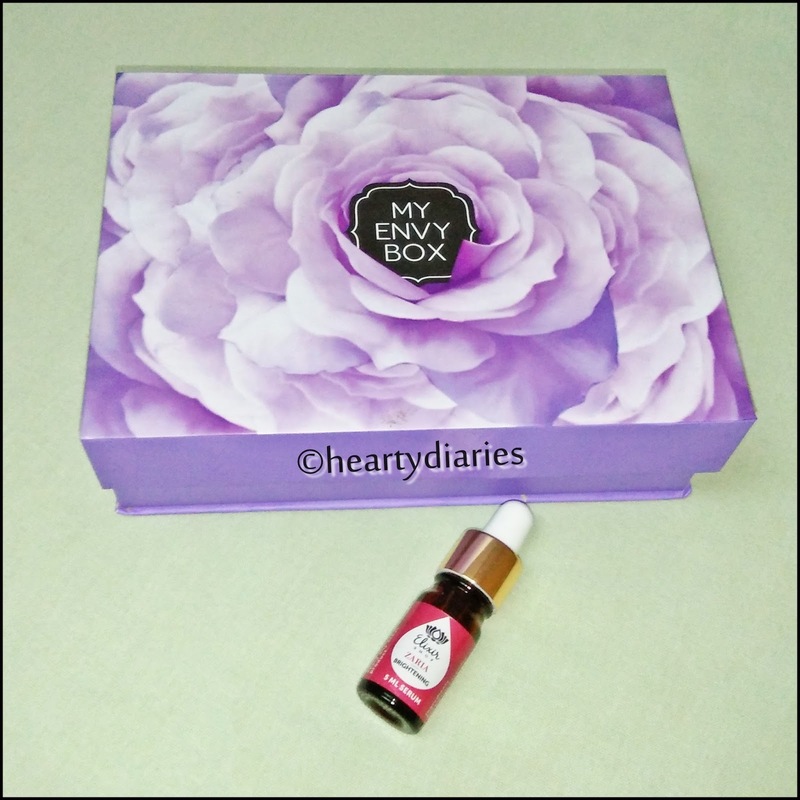 My thoughts: The July version of My Envy Box also had a sample by Iraa but this time, its a full sized product This tube is really slim and chic… By reading such a powerful description, I can’t wait to try it out and see what it does.. I love the fact that it is meant for all skin types. The cream is white in color and has a light consistency. It doesn’t feel heavy or greasy at all.. Product Description: With Lavender and Rosemary blended in Elixir’s signature formulation, Zaria goes deep into the inner layers of the skin and brings out a beautiful youthful radiance. It starts by lightening the dark spots and blemishes, and slowly evens out the skin tone. Zaria leaves the skin feeling healthy and glowing naturally, giving you the perfect “no-makeup” look. 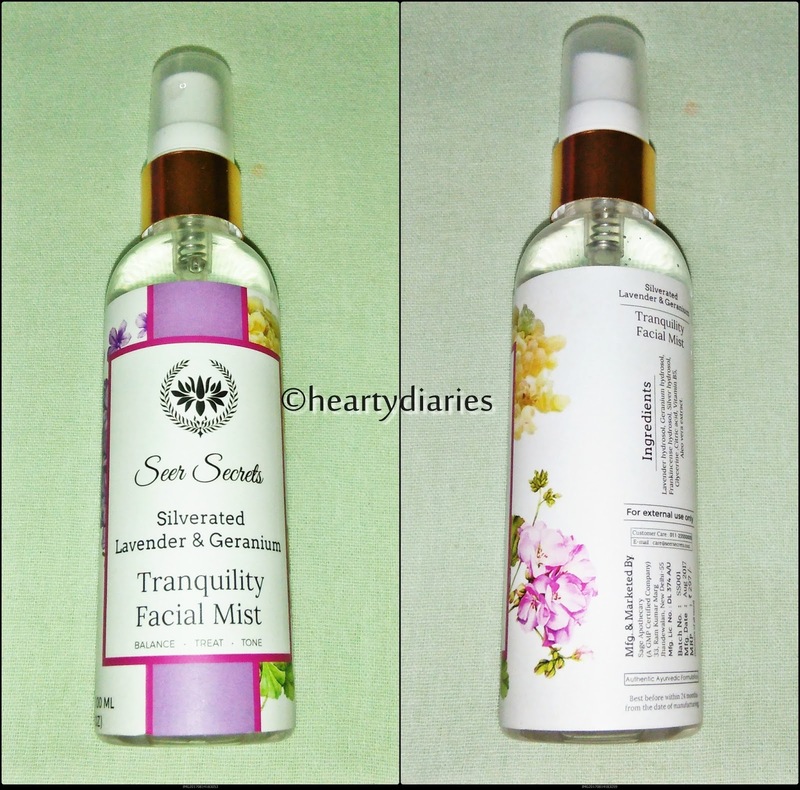 This is a must have serum to complement your daily beauty regime. Start by washing your face and then take 3-5 drops of Zaria and apply it all over your face and neck, avoiding the eyes. 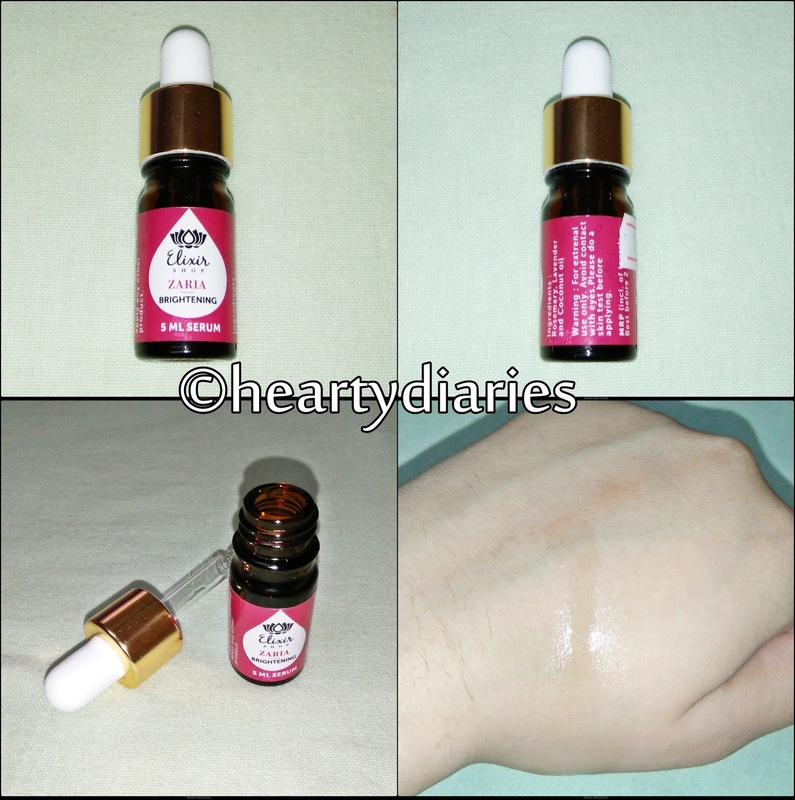 After applying the serum just wait 1 minute for it to absorb and then you can apply any other product. My thoughts: Such an expensive product!! I hope it works for me.. I am actually most excited about using this one because I have got some really stubborn acne spots on my face after a breakout last month. I wish it does as it claims. This serum smells so strong, just like those joint pain oils which I don’t like.. The bottle is made up of glass which is prone to breakage, so I’ll have to take special care because I’m really good at dropping things. This serum doesn’t look very greasy which is a good thing for people having oily skin like me. 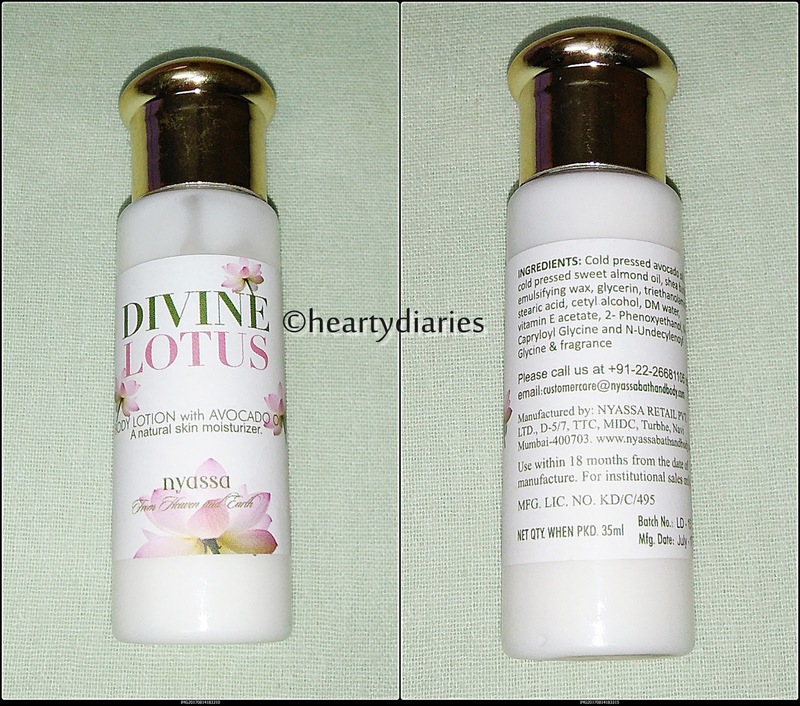 Product Description: Nyassa’s Divine Lotus Body Lotion contains Lotus Extracts and Wheatgerm Oil. Lotus Extract is an effective natural moisturizer and also acts as a toning agent making your skin taut and younger looking. High in Vitamin E and protein, Wheatgerm Oil helps promote new skin cell growth, making for younger looking skin. It leaves your skin feeling wonderfully soft, smooth and nourished. My thoughts: This bottle is made up of plastic, is light weight and sturdy. I wish the packaging was better and had a pump or something of that sort. The lotion is white in color, smells nice and has a non greasy, light consistency.. I am really happy with this month’s box and the overall quality, even more than last month. The brands are really luxurious and offer amazing care. I haven’t tried even a single product out of it, so I am highly excited to try them soon. 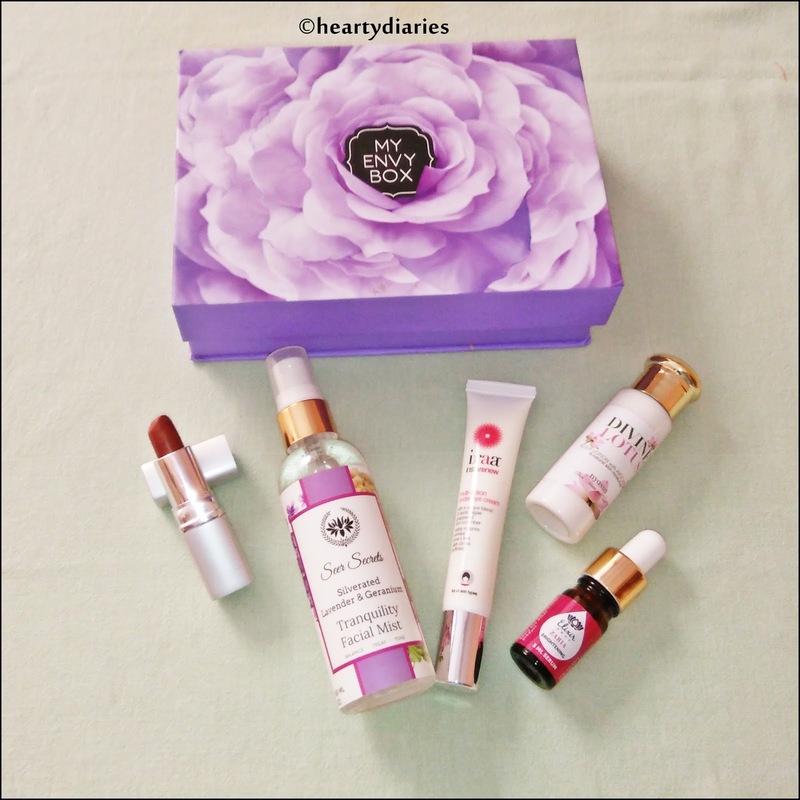 I’ll try the products as soon as possible and will make sure to review each one of them. This time I am a little disappointed from the manufacturing point of view but I’ll fix it!! 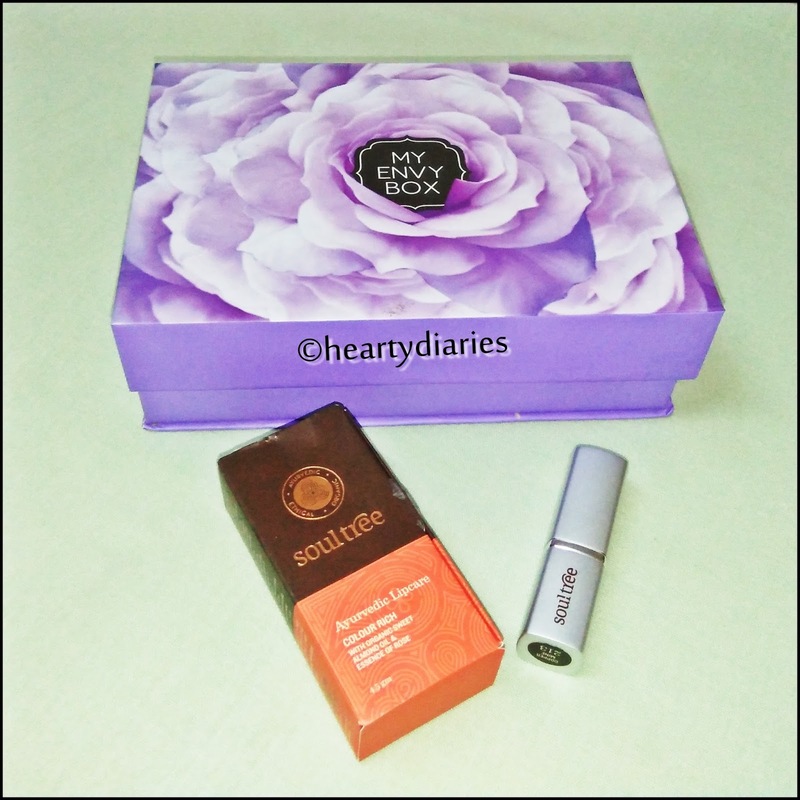 Overall, I love this month’s box! Definitely and highly. 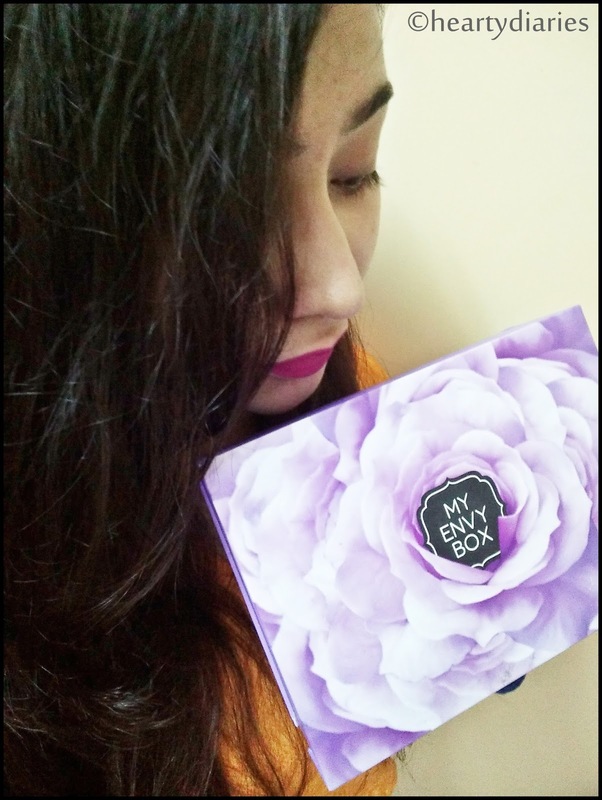 I love every single product in the box and I’ll highly recommend it to you guys. This review is not at all sponsored. I love the lipstick because it is lead, petroleum and carmine free and then I love Zaria Elixir.. 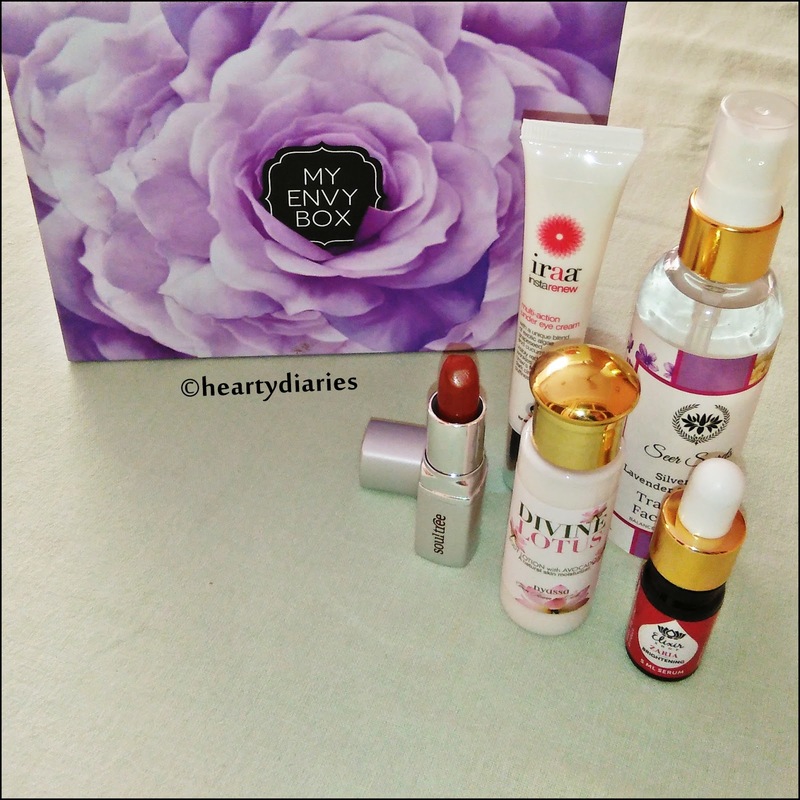 I just wish these products perform well on me..
Yeahhh… This month the products are really nice.. OMG!! Such a detailed review.. Loved it n the video too. Good going!! 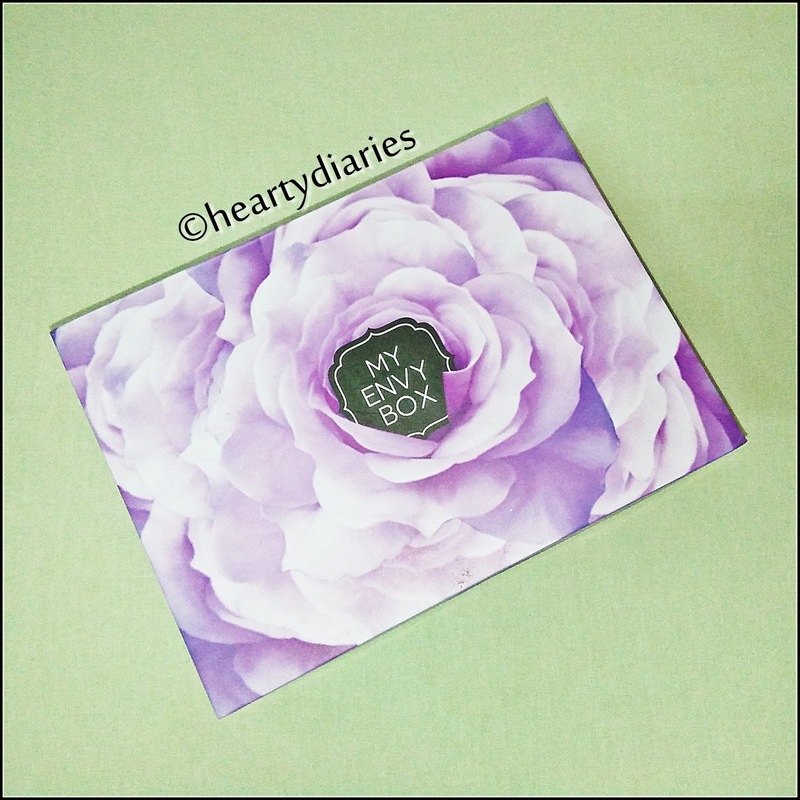 Thank you so much dear.. .means a lot to me..